You know I like cats and helping them out and stuff. 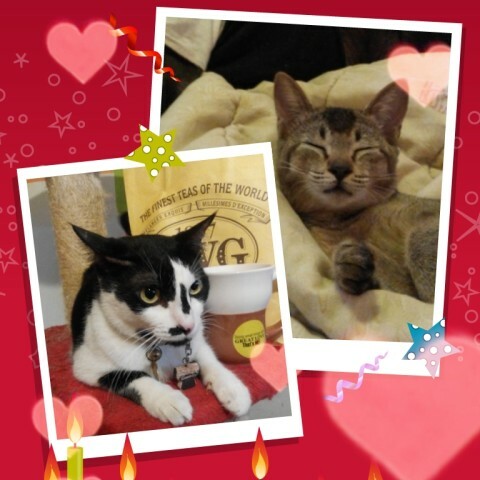 Love Kuching Project is having a silent bid for dinner with kitties. Or aka Dine With Cats. This March is the first of it. You can bid here. Bidding STARTS at $50 per person and for a maximum of 4 people who can win the bids. So what IS it actually or for? 1) You like cats, but can’t have cats? Or like to go to cat cafes and such. Well. Love Kuching Project have a lot of cats that are in need of homes or are currently being healed and stuff. You can meet the kitties! 2) The proceeds help run the organization, if you ever want invoices/receipts of whatever they do, you can actually request in their email to see what monies go where also. 3) IF YOU WIN the bid, you get to eat vegan/vegetarian food with cats and aww your monies actually help out the cats! 4) You’re actually helping out animals instead of humans. 5) Besides eating with the kitties when you win the bid… Well, what if you get taken with one (or two) of them and ooops, ooops ok, maybe you’ll want to adopt them too. 5) Oklah if you don’t like talking to humans you can do that, you can talk with the kitties instead and eat food. The people there are very nice. SO! Go and try bidding. Check out their page to know more. IMAGINE. If you win the dinner. You eat with your love interest some vegan sausage or pasta or mushroom thing, I DON’T KNOW. And then you pick that thing and your love interest picks the same thing but you both are looking at a cat. AND THEN. AS YOU BITE INTO YOUR FOOD. OOOH SHALALALALA MY OH MY. Previous Previous post: Music Makes the People Come Together Yeah! Next Next post: Pumped up kicks?